With the launch of the Nursing Now campaign, we highlight cross-country findings that support nurse training, retention and resilience. On 27 February, 2018, a global campaign will be launched to improve health by raising the status and profile of nurses. The campaign, which is a collaboration between the International Council of Nurses and the World Health Organisation, aims to improve the perceptions of nurses, enhance their influence and maximise their contributions to ensuring that everyone everywhere has access to health and health care. 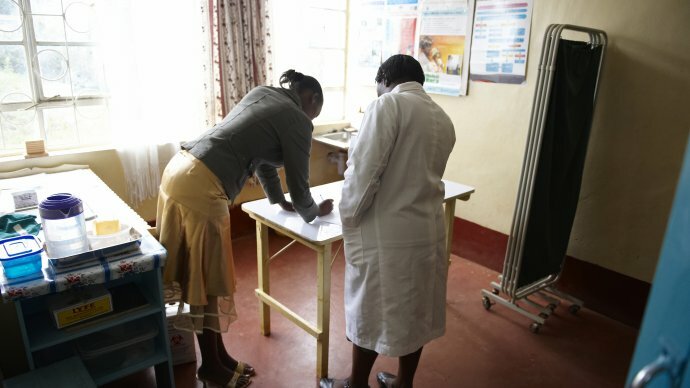 For the past eight years, nurses have been a key focus of RESYST research because of their essential contribution to resilient and responsive health systems: nurses provide front-line health services and without sufficient numbers, health systems will not be able to deliver safe and effective care. Our work has focused on identifying ways to address nursing shortages, especially in the public sector and in rural and remote areas where shortages are most acute. The research, conducted in Kenya, South Africa, India and Thailand, has uncovered several findings that are relevant across settings. 1. Public sector nurse training institutions are best placed to respond to countries' health workforce requirements. Set-up training schools in rural areas and collaborate with the public healthcare system to place trainees or graduates in under-served facilities. Despite these findings, the number of private training institutions globally continue to grow at a rapid pace. It is important that government and educational regulators put in place measures to ensure the quality of private sector teaching programmes and continue to invest in and prioritise public institutions. A study tracking a cohort of nurses in South Africa, which has been running for 10 years, investigates the job choices of nurses in the country. The research found that the greatest determinant of rural retention of nurses was the location where they trained: nurses who trained in rural North West Province were most likely to work in a rural area. The same study also found that a significant number of nurses remained in the public sector, despite concerns of migration to the better equipped private sector. Nurses displayed resilience and commitment to working in their organisation, and were particularly motivated by the need to exercise discretion in their role. "I love to be my own nurse. I love to depend on the skills and knowledge and experience that I've acquired"
Finally, the research reveals the importance of personal values; many nurses participating in this study expressed job satisfaction that was fuelled by community appreciation. "When [my patients] express their happiness, I realise I need to stay"
The Nursing Now! campaign that runs until 2020, is an excellent opportunity for research to contribute to changes in policies and practice that enable nurses to use their skills, education and training to their full capacity, and to improve access to quality, affordable healthcare for all.